On Good Friday, March 30th 2018, the team had its social media flight with SunExpress to Fuerteventura. 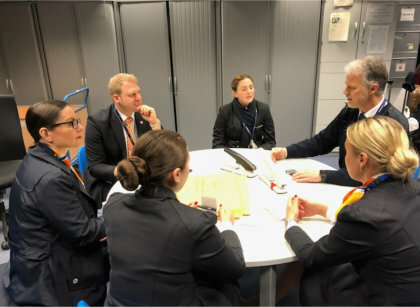 Our 2 Influencers Aya Safina and Fenja Lindt, Photographer Zübeyde Kopp (studioZeta) and Marcel Riwalsky, CEO Aviation-Event went on this journey with SunExpress to document a day of work of the Cabin Crew. Our conclusion of the day is, SunExpress has a very hard working crew which is very professional even after more than 10 hours of work. Thank you to SunExpress for the wonderfull flight!